Stainless steel jewelry is very fashionable in this day and age, especially when they are clean and polished. How to polish stainless steel jewelry ? After all, if you can’t carry it with brilliance, why should someone wear it? Think of any form of jewelry on the market today, you will certainly find its stainless steel version. It all depends on your needs. Be it silver, white gold or titanium, you can find a very similar -or same- design made of stainless steel. The beauty of it all is that stainless steel jewelry is durable. They do not rust or corrode easily, and do possess a hard and cool look. 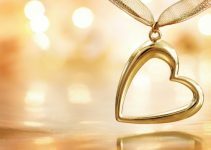 Thanks to these qualities, stainless steel pieces effortlessly find their place in many jewelry collections. However, most people generally take the state of their stainless steel jewelry for granted due to its non corrosive feature. They often do not care for the stainless steel items as they would care for jewelry made from other metals. This is not good news as the jewelry tends to lose its glamorous look overtime due to scratches and stains. So, if you want your stainless steel fashion jewelry to look like brand new for longer time, it is important that you learn how to store, clean and polish them. Nevertheless, not all stainless steel jewelry is the same. Thus the journey to a lustrous steel jewelry should start before it is bought. In this post, we provide you with a guide on stainless steel facts so you can make the right choice and following that, conveniently take care of your stainless steel jewelry. How to Polish Stainless Steel Jewelry? How to Store Stainless Steel Jewelry? You probably come across 316L stainless steel jewelry, but did you know that it is surgical level steel? Yes, it has a such high standard that it can used in implants. This means it is a very good choice for jewelry. However, there are lower quality steel types, which are improper for jewelry. Unfortunately, you may come across these potentially harmful steel items. Stainless steel, as the suggests, is an alloy of iron. It is a generic name for many different alloys. Thanks to chromium in its composition; a thin layer forms on the surface of the steel preventing/postponing corrosion. It includes varying amounts of carbon and manganese. It might as well include nickel in the metal mixture. It is very widely used in industry and households. Moreover, stainless steel has lately become a serious attraction for jewelry buyer thanks to its lustrous look and high durability. There are different types of stainless steel for specific usages. For example, austentic stainless steel which offers high-heat resistance is preferred in industrial piping, whereas martensitic stainless steel is used in kitchen knives thanks to its hardness. It is easy to confuse stainless steel with silver, titanium or palladium so always make sure you check with your seller. Is stainless steel jewelry magnetic? There are magnetic stainless steel variants but of course, your jewelry will not be magnetic. You may expect some ferritic, martensitic and duplex stainless steels to be magnetic. Is stainless steel jewelry waterproof? Yes, stainless steel is resistant to corrosion. Stainless steel does not tarnish so you can wear your steel jewelry in the shower. Does stainless steel jewelry turn skin green? Changes in skin color are the result of cheap jewelry items, which cause allergenic reactions. Make sure you choose a jewelry made of hypoallergenic stainless steel, such as 316L stainless steel. Will stainless steel jewelry tarnish? No, stainless steel does not tarnish. Stainless steel has many variants depending on different metals and percentages in the alloy. 316L stainless steel is a low-carbon alloy of the 316 steel. Thanks to the reduction in carbon, it has a high corrosion resistance. This hypoallergenic steel is nickel free. So it is a very good choice for jewelry. It is also very durable in high-temperature environments. Your valuable jewelry should be handled with care. Avoid rough handling and scratching of the stainless steel jewelry on hard surfaces. Frequent scratching of your jewelry will reduce its brilliance and value. It is important that you always cleanse your stainless steel jewelry so it can last long. They are very easy to wipe with a piece of cloth, and all this can be done at home. This method involves the use of mild dish soap and water. Add a little soap in a small bowl of water and dip the corner of a soft cloth into the soapy water. Then, rub the cloth along the grain of jewelry. Do not rub across the grain so you won’t scratch the jewelry. You can use a soft-bristled toothbrush dipped in the soapy water to scrub any tough stain. Afterwards, you can dip the stainless steel jewelry in clean water and rinse thoroughly. Wipe away the water with dry cloth and then, polish the jewelry with jewelry polish. If you’re using polish, make sure it is labeled as safe for stainless steel. Avoid using silver polish so it will not stain your jewelry. Furthermore, ensure you are going along with the grain and not across it when polishing your stainless steel jewelry. This method involves the use of mixed baking soda and water to make a paste. You will then dip your soft-bristled toothbrush into the mixture and use it to scrub the jewelry gently along the grain, not across so you won’t scratch it. Once this is done all over the jewelry, you can now rinse it in warm water until the baking soda comes off. This method involves the use of plain, white toothpaste that does not contain silica. Put a small amount of the toothpaste on a dampened soft cloth and gently rub against the grain, and not across the jewelry. You can use a soft-bristled toothbrush with a little toothpaste to wipe any tough stain. Wipe away the water with dry cloth and then, polish the jewelry with jewelry polish. Stainless steel is a very durable material so it is highly resistant to scratches. Unlike softer metals like silver, it will come on top of many of the daily tasks without requiring any extensive care. However, you can’t just throw your stainless steel jewelry in your jewelry box. Yes, it is very unlikely it will get scratched but as it is harder than other metals in the box, it will scratch them. You should keep your stainless steel jewelry in a clean and safe place. 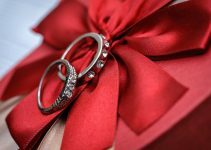 Avoid storing your stainless steel jewelry in the same jewelry box as your rose gold rings or sterling silver earrings. Doing this might damage your jewelry pieces. If you want them to be in the same container, you can separate them by wrapping them in a soft-tissue paper or putting a soft cloth bag before storing them.